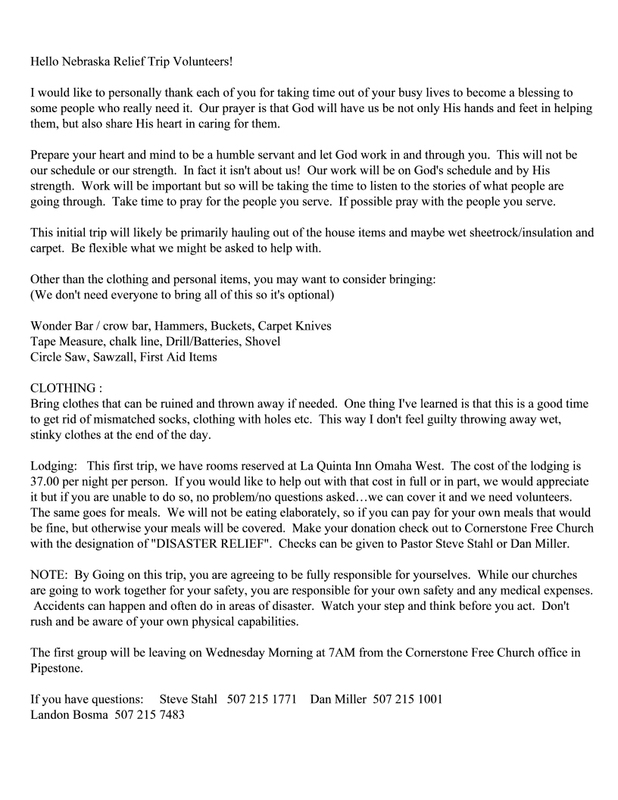 December 8th-16th a group from Woodstock and Pipestone west to North Carolina to serve those affected by the recent hurricane in North Carolina. We worked with the mission group “Reach Global.” This organization puts the main focus on reaching out to bless those affected by the recent hurricanes. Many souls have been brought to Christ through the simple act of showing God's love as we serve! The name of the church we stayed at was One Harbor they provided us with warm meals and incredible hospitality. Blow is a short video that explains more of what took place on our trip. We are in the process now of planning another trip in the early spring. Stay tuned for more information!